Adam Levick has already demonstrated the prevalence of typically anti-Semitic language and themes that form the core of the disgusting article by Arun Kundnani, Newt Gingrich’s agenda-setting big donor, with its implication of “Jewish money” setting the agenda for the US elections, and the twinned article by Paul Harris, The Secrets of the billionaire bankrolling Gingrich’s shot at the White House, with its juicy hint of a secretive Jewish donor manipulating the Republican nomination campaign. Arun Kundnani claims that Adelson is “setting the agenda” for Gingrich by donating money to a Super-PAC that supports Gingrich’s candidacy. Of course, like all private funding of politics, there is no way of knowing with certainty what the Adelsons expect to achieve with their money. Precisely. There is no way to know what donors expect other than they hope their preferred candidate will win the nomination and will, therefore, implement polices the donors support – but do not control. The idea that because Adelson is Jewish (and even worse – a Jew who loves and supports Israel) he must be setting Newt’s agenda is clearly a reversion to the age-old theme that “Jewish money” controls politics (among other things). Money is flooding into the coffers of all candidates now that the Supreme Court has (foolishly, I believe) opened the doors to corporate donors. The Sunlight Foundation has been tracking Super PAC money, and it reveals that although the pro-Gingrich Super PAC that Adelson supports, Winning Our Future, has spent $8,511,433, the pro-Romney Super PAC, Restore Our Future, has outspent Gingrich’s Super Pac by more than 2:1 – $17,485,657. PACs supporting other candidates have spent or raised amounts in the $1 million to $4 million range, including, by the way, a PAC that supports perennial Guardian favorite, the anti-Israeli Ron Paul. Yet we do not see an investigative piece in the Guardian that tries to tie Romney’s donors to powerful and wealthy Mormons, or Ron Paul’s PAC to – well, some lunatic fringe Texan, I suppose who hopes to “achieve something with his money” such as restoring the US to the gold standard. McGreal went on to cite a person claiming that the evangelicals are to the right of Netanyahu’s government when it comes to the Israeli-Arab conflict. Nevertheless, he also could not avoid bringing Adelson into the mix, even though he is only one of Gingrich’s donors and we have no way to know how he compares with other donors – for example, to donors to Romney’s far greater Super PAC. For those interested, it is worth noting that Jeffrey Katzenberg has donated $2 million to Barak Obama’s Super PAC, but the Guardian editorial pool does not seem to feel that this donation raises the specter of “Jewish money” at work distorting the electoral process. Harris article, The Secrets of the billionaire bankrolling Gingrich’s shot at the White House, was typical of the worst of the Guardian’s feeble attempts at investigative reporting. In more than 2,000 words, Harris revealed “secrets” that a few milliseconds on Google would turn up. The gist, of course, was that as a result of the Adelsons’ support, heavily outspent Gingrich “…suddenly has an outside chance of becoming president”. Perhaps to put this whole affair in perspective, take a look at the billions spent by lobbying companies listed at OpenSecrets.org. It is the delicious conjunction of “Adelson” – “Jewish” – “Israel”- Abe Foxman” – “AIPAC” and, of course, “money” that makes the whole issue of Adelson’s very public “secrets” so interesting to Harris and the Guardian. The Guardian even foolishly added the sub-header claim, ludicrous to every sane observer of the Republican nomination process, that is being debunked even as I write this, that “Sheldon Adelson is not running for office – but his cash could swing Tuesday’s Florida primary”. Well, it may not. Romney is trouncing Gingrich in the Florida primary polls. If it is inappropriate for wealthy people to support Gingrich, why is it not inappropriate for Romney to raise at least twice as much money, and far more than twice as much before the Adelsons stepped forward with their donation or donations? There is really only one answer, and it runs like a shameful thread through all three articles. It is because Adelson is Jewish and a supporter of Israel, and Newt has been more outspoken in his support of Israel than Romney (but less, by the way, than former candidate Michele Bachman, for example). The fact is, there was nothing “wink, wink, nudge, nudge” about the articles by Kundnani and Harris, in particular. 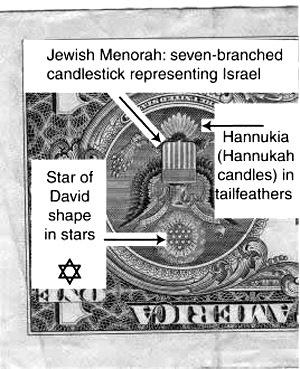 They were blatant invocations of the age-old anti-Semitic idea that “Jewish money” controls politicians. The Guardian has been slipping more and more frequently into the sewer of anti-Semitism, and this time was in it up to its neck. But the Republicans of Florida will vote, and it appears that Romney will trounce Gingrich. Will we then see a shame-faced retraction by the Guardian? Of course not. If Arun Kundnani wants to see racism and hatred, all he has to do is look at the Palestinians racist media against Jews. PA denying Israel’s right to exist. PA promoting virulent antisemitism in their schools, mosques, and popular media; and deny the Holocaust suddenly have discovered the dangers of incitement! See the sickening hatred the PA teach their kids in their schools and camps. The problem for you is that “accused” and “guilty” are not synonyms. And it isn’t the innocent who “accuse”. I’m certain that PalWatch welcomes any corrections. You bored, Anthony Posner? Haven’t you made enough stupid comments today here and on other blogs? ATP, How did you come to the conclusion that I’m Anthony Posner? What great insight, what clever method did you use to come to your conclusion??? Hey, sweetasshole, maybe you are also Anthony Posner. Or Anthony Hopkins. Or Justin Biber. You are talking to yourself, right? Are you also in love with Anthony? This just appeared at the Washington Post. Romney’s money continues to dwarf Gingrich’s. Newt Gingrich raised $10 million in the fourth quarter of 2011 and has pulled in another $5 million in January, his campaign announced in a tweet Tuesday. But so far, the amount has not allowed him to compete financially with former Massachusetts governor Mitt Romney, who announced earlier this month that he raised $24 million in the fourth quarter and had $19 million at the end of the year. Gingrich was a committed friend of Israel before Adelson put his money into his campaign and there is little evidence that such financial injection had anything to do with Gingrich describing the Palestinians as “an invented people” during a recent interview with a Jewish cable channel. The fact is, Gingrich is known to shoot from the hip, rhetorically speaking, and his comment, which caused a firestorm, is more a reflexion of his mercurial character and style than the improbable input from Adelson. Besides, with the single exception of the non-electable Ron Paul, all Republican candidates are pro-Israel….